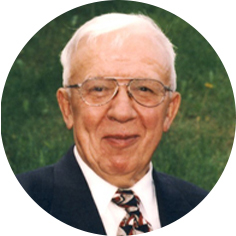 It is with heavy hearts the family announces the peaceful passing of Emil Maniawski on Saturday, February 10th, 2018 at the age of 93 years with his children at his side. A loving husband, father, grandfather and loyal friend, Emil touched the hearts and lives of so many. His legacy of love for his family, zeal for life, genuine relationships with friends, gentleness and generosity will be forever cherished. Emil was predeceased by his parents, John and Maria; his brothers, Michael and Ignac; his sisters: Josephine, Stephanie and Melanie; and his grandson, Dillon Marciszyn. He will be dearly missed by his wife of 55 years, Maria; daughter, Anne (Dale) Marciszyn; son, John (Chelsea Caswell, girlfriend); grandsons that he cherished, Adam and Derek Marciszyn; sister-in-law, Anna (Nick) Pietrus; cousin and best friend, John Szarun; nephews: Henryk (Joanne) Pietrus, Metro (Brenda) Pietrus, and Roman (Wendy) Pietrus; niece, Oksana (Wasyl) Sergeniuk; as well as many cousins, nephews and nieces in Poland and the Ukraine, and close friends. Born in Izdebki, Poland on December 4th, 1924, Emil spent the early years of his life working on farms to help support his family, and enduring significant hardships of poverty, war and deportation to Germany at the age of 16 during World War II. It was these experiences that helped make him a strong, resilient, yet humble, gentle and caring man. Adapting to adversity, Emil created a fulfilling life in Germany where the family on his work farm adopted this charming, hard-working and handsome young man as one of their own. His 10 year stay in Germany ultimately became one of the highlights of his life, and these happier times undoubtedly released his wonderful smile and great sense of humor. Emil immigrated to Canada in 1951 to begin a new chapter of his life in a country that he soon loved. Following his immigrant landing in Halifax, Emil travelled to Winnipeg where he made his new home, learned a fifth language and new trades, and worked at several jobs including the CPR, which was the beginning of his work life as a railroader. Emil met beautiful Maria in early 1962 and the two were married on June 15th, 1962. Transferring with the railroad, Emil and Maria moved to Moose Jaw in late 1962, which is where they raised their family and settled for the rest of their lives. Dedicated to providing for his family, Emil had several jobs over the years with Robin Hood, CGTX and CPR. He worked as a carman for the CPR from 1974 to his retirement in 1990. Emil spent his retirement years doing the things that mattered most to him: helping his children in countless ways, enjoying his grandchildren, sharing special times with his many good friends, enjoying the beauty of nature, perfecting his passion for gardening, and traveling with his family across western Canada. Some of his most cherished moments were times spent with his grandsons, Adam and Derek. Emil was a spiritual man who appreciated the promises of God, and truly enjoyed the beauty found in nature. God blessed him with a long, abundant life full of love, happiness and friendship.